History on Broadway encourages students to build critical thinking and media literacy skills by analyzing film and/or audio clips and song lyrics from musicals along with primary sources and secondary texts to inspire and deepen their understanding of American history. Students will consider the challenges people faced in the past and will assess the validity of the examined musical as an accurate historical source through role-playing and other creative exercises. Optional homework. Students must be the age required for their specific class by the date of the first class. $150 per series, $700 if you book all five. What was the experience of enslaved people prior to the Civil War? Join Huck Finn as he helps Jim to freedom and investigate the realities of slavery in the American South. What was life like in the period following the Civil War? Board the “Cotton Blossom” as it travels along the Mississippi River to explore the impacts of laws, racism, and poverty in the Jim Crow South. How did Fiorello LaGuardia transform New York City’s political landscape? Follow along on the future Mayor’s journey to free the city from corrupt politicians and champion for everyday citizens, who were themselves advocating for widespread change. How did ordinary families survive the Great Depression? Walk the streets of Roosevelt-era America and discover how Annie and other citizens responded to severe economic decline. How did the onset of World War II impact American lives at home and abroad? Explore the ways Americans rallied to support the war effort, including women and African Americans in ever-changing roles. *Please note: Series 1 of History on Broadway will end on October 26, while Art of History and Voices of History end on October 19. 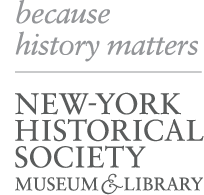 For questions and registration, contact homeschool@nyhistory.org or (212) 873-3400 ext. 367.